Barns, stables, garages and storage sheds all have one thing in common: they can benefit from adequate ventilation, especially in the Perth climate. Here is an overview of ventilation for sheds. There are two main reasons to ventilate your shed: dispersal of excess heat and prevention of mould caused by damp air. Heat in the summer is usually magnified in a shed due to the sun shining directly onto a metal roof. The roof absorbs more heat than the walls due to pointing toward the sun at a much more direct angle. Unchecked heat build-up can melt plastic or warp timber. Dampness comes from natural moisture in the air, but especially in the winter. This allows mould and mildew and can even cause rotting of timbers. When humans or animals are in the shed, the moisture from their breath adds to the equation. How Do You Ventilate a Shed? It is as easy as installing vents that are custom made for areas such as the gable, roof or eaves. You can also open doors and windows to ventilate in the daytime. 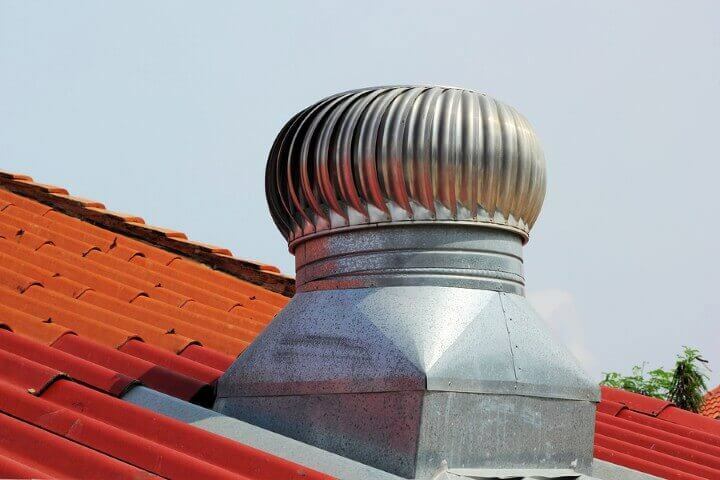 A roof vent can vary from the entire length of the shed to small vents positioned as in houses. Ridge vents and gable vents work well for allowing hot air to escape your shed. How Do Vents Help Cooler and Drier Air to Flow into the Building? The lower vents allow cooler air to come into the building. This consists of the soffit vents of the eaves, wall fans, doors and windows. Passive ventilation happens naturally without fans. Hot air rises through upper vents, making room for cool air to come in through lower vents. Also, wind can increase the amount of air coming in lower vents. In some sheds, passive ventilation is enough; others need active ventilation. Active ventilation is usually achieved by fans blowing air out the top. This can be through a “whirlybird” vent, which is powered by the wind, or by putting an electric fan in a conventional vent. At Action Sheds Australia we can install a shed that is custom-designed and ventilated to match your situation. Our sheds are ShedSafe certified and made of high-quality materials. Call 1300 778 628.